The vote on the gasoline tax in the Maryland House of Delegates gives us an interesting snapshot of the political balance in Maryland, a state considered to be among the bluest of the blue. The picture might not exactly match the popular perception. In 2012, President Barack Obama carried Maryland, 62 percent to 35.9 percent. By the numbers, Maryland appears to be a one-party state. The governor and both U.S. senators are Democrats. The state’s delegation to the House of Representatives is seven Democrats and one Republican. Zooming in on the Maryland General Assembly, Democrats in the State Senate have a 35-12 majority, nearly 3-1. In the House of Delegates, the count is 98 Democrats and 43 Republicans, a more than 2-1 majority. OK, the Democratic majority in the House of Delegates is 98-43. Apparently unshakable. The vote on the gas tax bill: 76-63. I think the gas tax vote gives us a particularly accurate breakdown of the political divide in Maryland. Votes on many issues — like the Dream Act, Marriage Equality, or the Death Penalty — can be emotionally charged, and might also be affected by delegates’ personal religious beliefs or family ties. The gas tax represents the fundamental political position of the Republican Party, which is “No tax increase.” Republicans are unbending on the tax issue, and its an issue that many voters are sensitive to. The gas tax increase, raising funds for highways and mass transit, also hits close to home for Democratic Party values. Democrats believe that government can and should do good. Further, Democrats believe that government has a responsibility, even an obligation, to provide fundamental infrastructure, like transportation, that’s necessary to support commerce and the economy. The gas tax vote reflects basic values of the two parties. So how do you reconcile 98-43 with 76-63? On the other side, Democrats voted heavily “Yes” on the gas tax. Of 98 Democrats, 76 voted for the tax. What made the outcome closer than you might expect, 22 Democrats crossed over and voted “No” with the Republicans. So you have a party-line vote by Republicans, but a split vote by Democrats? In a way, the outcome is flattering to the Democratic Party. Republicans look close-minded, marching in lockstep to their anti-tax dogma. Democrats look more open-minded. Democrats don’t vote according to a rigid party line. Unlike the Republican Party, the Democratic Party in Maryland represents a variety of people free to express different opinions. I think it’s good that the Democratic Party remains a “big-tent” party, welcoming people from across the political spectrum. But the gas tax vote calls into question the perception that Maryland is a one-party state. 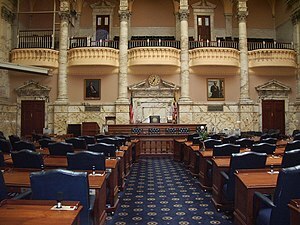 What is the true political divide in the Maryland House of Delegates? It’s not really 98-43, is it? Isn’t 76-63 closer to the truth. To be more precise, add the two Republicans who were absent for the gas tax vote, and the true blue/red divide looks like 76-65. It’s a clear margin of victory, 76-65, but it’s not overwhelming one-party control. To the political layman, 76-65 is an 11-vote margin, a daunting gap to close. Still a pretty safe majority for Democrats. Right? The Republican side would need 11 more votes to win. Well, not exactly. That’s not the way politicians count votes. The losing side would not need 11 votes. They’d need to change 6 votes to get to victory, 71-70. When there’s a fixed number of votes, 141 in this case, you have to work with what you have. You can only change votes. If you switch one vote, that’s one less vote for them, and one more vote for you. 1 + 1 = 2 ‘Nother words, you switch 6 votes, and it adds up to 12 votes, enough to overcome an 11-vote margin. Summing up Part 1: It could be argued that the Democratic majority in the Maryland House of Delegates is not 98-43, but more like 76-65. And that means a switch of six delegates in the 2014 election could (in theory at least) have a significant impact on the direction of the House. I’m not trying to give comfort to the Republican Party here. I’m trying to wake up the Democratic Party. 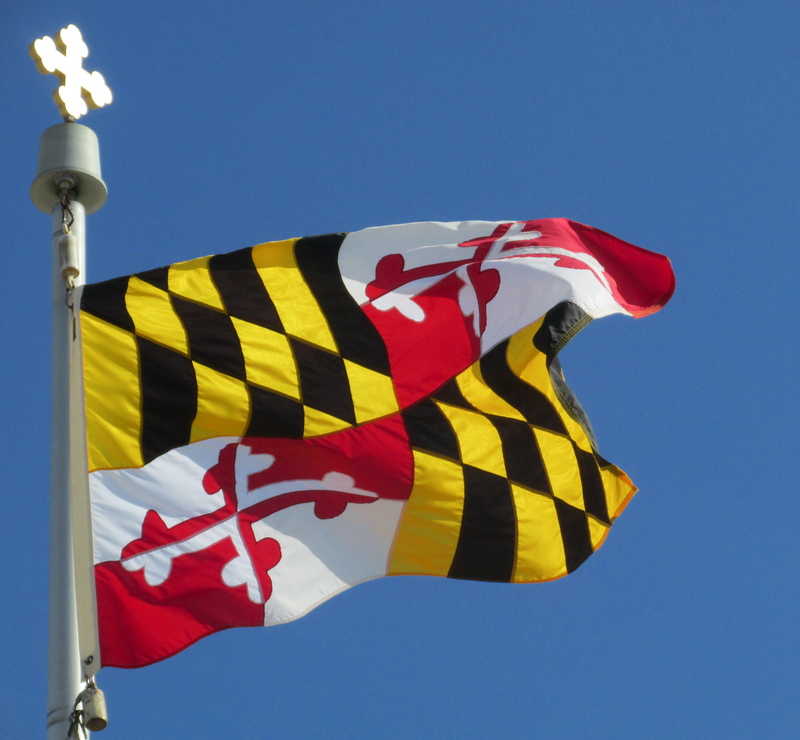 What’s your take on the political balance in Maryland? Differing views are welcome. If you notice any numerical or other errors, please let me know so I can fix them. Thanks. Click here for an analysis of the gas tax vote by Maryland Juice. Part 2 of “Maryland’s Political Divide” examines the gas tax vote AND the gun control vote. Part 2 is now available here. This entry was posted in Democracy, MARYLAND and tagged #WPLongform, Democrats, Fuel tax, Gas tax, General Assembly, LongForm, Republicans, Tax by Editor (Retired). Bookmark the permalink.